Constraints on the planet are driving demand for resource-efficient and closed-loop products, services, and corporate models. But how do we create circular systems, material streams, and new business structures to support the transition to this new paradigm? This week’s LAUNCH Circular Innovation Summit brings together leading researchers, entrepreneurs, investors, and business executives at Nike’s world headquarters in Portland, Oregon to find ways to be more efficient, effective, and economically viable with the limited resources on planet Earth. Sustainability is a galvanizing force behind Nike’s global growth with about 71 percent of the iconic company’s shoes and apparel contain recycled materials. So it wasn’t surprising when Cyrus Wadia, Nike’s VP of Sustainable Business & Innovation, set a moon-shot challenge to a room full of innovators, industry pioneers, and a former NASA astronaut, at this week’s summit. “At Nike, we believe that our future growth will depend on a healthy planet for athletes everywhere. This means not just reducing our use of finite resources, but using new resources born out of tomorrow’s innovative technologies. To get there, we will need breakthrough innovation from diverse and unexpected communities working together. That’s what makes LAUNCH and its mission so important. Today’s ideas can grow into tomorrow’s solutions.” said Wadia. 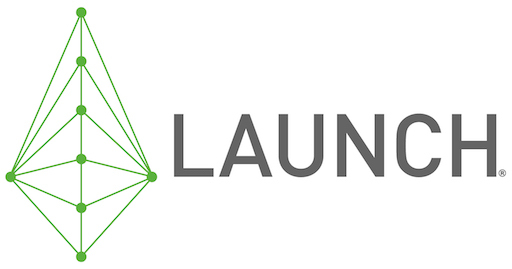 Established in 2009, LAUNCH is an innovation-centered platform founded on the belief that today’s problems are too big to be solved by any one organization working alone. Original partners NASA, the US Agency for International Development, the US Department of State, and NIKE, Inc. joined together back then to identify, showcase, and support innovative technologies to help solve global sustainability challenges. LAUNCH helps convene and curate networks of unlikely public and private partnerships to accelerate innovations and disrupt pathways for change. “You can’t change a system until you know where you want to go,” said Jeff Hamaoui, co-founder of LAUNCH and Managing Partner at SecondMuse, the global innovation company that leads LAUNCH. “We think the future is a fascinating place from which to begin designing. Together with LeaderLab, our LAUNCH team in the Nordics, we’re bringing together innovators, business leaders, and resources to act now on the path to the future." Sofus Midtgaard leads the LAUNCH Circular work from Copenhagen. “It’s been amazing working with so many different companies and having one of our founding partners Nike hosting this event. Our 2017 innovation challenge on design and manufacturing for the circular economy will be launched on June 5th at the World Circular Forum in Helsinki. Co-created solutions and insights from this week’s forum will be incorporated in our global challenge,” Midtgaard said. Throughout the day, innovators at the summit will be on Twitter sharing their disruptive ideas with the digital public, coming together around #LAUNCHCircular to help build a collective voice around sustainability and social impact. In a Facebook live interview yesterday, LAUNCH innovator Vigga Svensson talked about Vigga.us, her circular subscription service for children’s wear. “Kids grow,” Svensson says “But clothes don’t.” The concept is an innovative business model that combines sustainability and fashion consumption, and makes them work together instead of against each other. LAUNCH Innovator Anne Waddell of BioAmber sits beneath the LAUNCH Circular hashtag and alongside network members in the midst of an innovation session.